Manchester is the economic powerhouse ideal for British Expats. The city has the most advanced devolution deal including power to control healthcare budgets. The North West of England and Manchester have received a £7bn investment in business, culture and infrastructure, with £3m funding for housing. 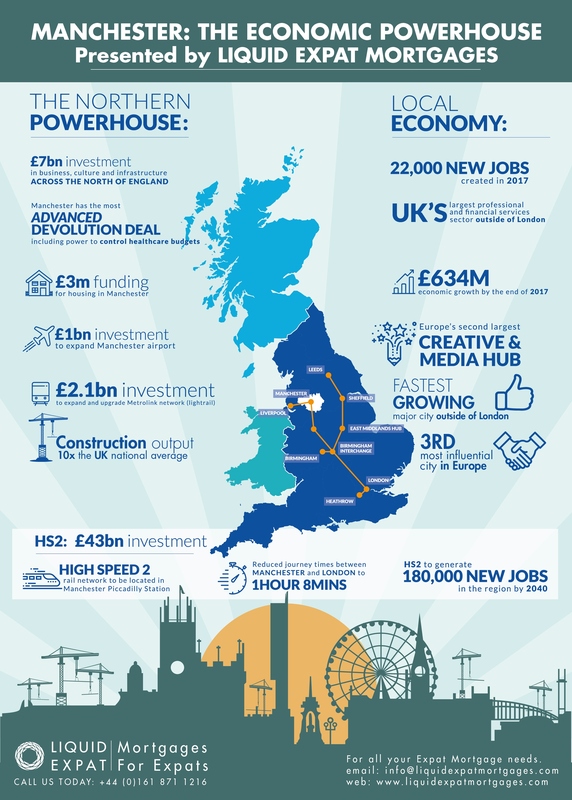 The HS2 high speed 2 rail network is set to be located in Manchester Piccadilly station and should generate 180,000 new jobs in the region by 2040.